Trudeau’s government has outlined its policy on Syrian refugees, pledging to bring in 25,000 asylum seekers by the end of the year. They have already initiated the#WelcomeRefugees campaign, encouraging Canadians to support and sponsor refugees fleeing the war and terror of Syria. The government also plans to invest $200 million in refugee processing, support and settlement services and intends to restore the Interim Federal Health Program. These policies demonstrate how serious the Liberal Government are about welcoming and settling refugees escaping hardship and conflict into Canada. The government plans to not only double the budget for family class immigration processing, but to also increase the number of new applications allowed each year (for parents and grandparents )from 5,000 to 10,000. In addition, they plan to restore the maximum age of dependency to 22 (currently at 19), allowing more people to bring their children to Canada. The government has also pledged to grant immediate permanent residency to new spouses entering Canada, rather than imposing a two year conditional status. All of the above measures will help immigrants reunite with their families after they have arrived in Canada. A full review of Express Entry, as well as the Canadian Experience Class program has been promised. Provided Justin Trudeau’s Liberal Government keeps their promises, all of the above measures will improve Canada’s immigration system and its efficiency; hopefully making Canada even more welcoming for newcomers. 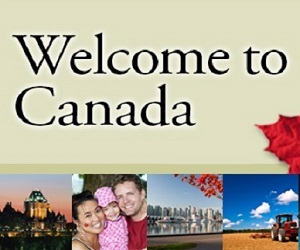 Stay tuned to our Newcomers Canada blog for the latest information on important immigration changes HERE.